What can I expect from my pet's first visit? During your pet’s first visit to a Certified Animal Chiropractor, you can anticipate several common events..
First, you will complete a new patient form that will cover the basic information the Doctor needs to know in order to evaluate your pet’s health. Please be sure to bring any veterinary records pertaining to any recent injuries and illnesses your pet has experienced. As well, in Alberta, it is a requirement that you obtain a signed referral or consent for chiropractic care from your veterinarian. You can find this form in the ‘new patient form’ section of our website. You can download the forms here, fill them out and email them back. You can also have your veterinarian email any x-rays and lab/test results ahead of time too. In order to obtain as much information as possible on the overall health and well-being of your pet, the Doctor may ask you several questions regarding the animal’s behavior and activity level. Remember, you know your pet better than anyone else, and your observations are vital in helping the Doctor understand how best to help he or she achieve optimal health. Once the exam is complete, the Doctor will discuss with you any areas of concerns she identifies and, upon your consent, will begin to adjust the animal. Often, animals feel relief of pain or strain almost instantly. The way they sometimes express this relief is through a full body (nose to tail) shake or fluff. What happens after the first adjustment? Most patients will feel the need to rest after their first adjustment, this is completely normal as the body is already beginning to repair itself. Depending on the severity of the injury or illness, your pet might experience improvements within the first 72 hours. The doctor will give you her recommendations for at home protocol specific to your pet’s condition at the time of your visit, which will often consist of lots of water, no strenuous exercise, ice therapy, massage or stretching exercises. A follow up visit is often necessary to be certain that your pet’s condition is indeed improving. The need for ongoing care will be determined once the Doctor is able to determine how your pet is responding to chiropractic care. The initial visit is $120 and takes approximately 45 minutes. This includes the consultation, patient history, review of veterinary results and x-rays, neurological/orthopedic/chiropractic examination, first adjustment and at home instructions and protocol. Follow up visits are $50 and take approximately 15 minutes. Do you require x-rays or MRI scans? Radiology is not required for the Doctor to identify and correct areas of subluxation within your pet’s body, however, in certain case, it can be very useful in identifying areas of concern, especially if your pet has recently been injured, or is of geriatric age. If your pet has undergone these tests for a recent injury or persistent problem, it would be wise to bring them for the Doctor’s review. 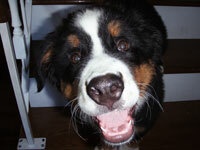 It is most helpful to have these references to best understand and treat your pet’s condition. What can Chiropractic care do for my puppy or kitten? As any dog owner knows, puppies and kittens are fast growing, love to run and play and spend lots of time rough housing around. Chiropractic care during this stage in their lives can be beneficial to achieve proper bone and joint development, as well as reaching their optimal health potential early on in life. They change so much in their first few months of life, giving them a head start towards great health is vitally important and can improve the health they experience throughout their lifespan. It is far easier to prevent a problem from happening, than it is to fix it after it’s happened! This is especially true of breeds that are known for certain health issues, as well as fast growing breeds. 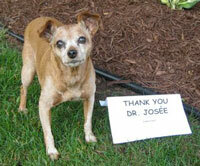 What can Chiropractic care do for my elderly or geriatric pet? Towards the end of your cat or dog’s life, they begin to experience some of the same problems and pains as humans do when we age. Digestion, kidney function, bladder/bowel control, arthritis, and sadly, dementia are very common. Their bodies, now more than ever, need special attention to alleviate these conditions. As the brain never loses its capacity to send healing messages to areas within the body, Chiropractic can help align the structures of the spine to get those messages to the organs and tissues that need attention. 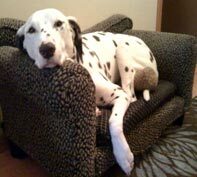 Geriatric pets often begin to act as they did when they were younger after an adjustment. “He’s acting like a puppy again!” is something we hear a lot. 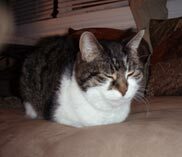 Once the misalignments are gone, the body begins to heal and the animal can experience a respite from painful joints. They feel good, and they might respond by playing more, walking longer, tiring less easily and exhibiting happier behaviors. My pet has arthritis. Can Chiropractic care help?? Arthritis is caused by the degeneration of the tissues and bone of the joints that is the result of misalignment. Bones rub against each other, deteriorating and causing pain, stiffness and immobility. The damage to the bones is permanent, but through chiropractic adjustment, further damage can be avoided. Once the arthritic joints are properly aligned, the nerves and tissues repair and painless joint function may be restored. The doctor will be able to determine how much improvement can be expected, depending upon the extent of the damage. In this case, if arthritis is diagnosed, it is vital to seek treatment quickly, because time is the enemy. The longer you wait, the worse the damage becomes and less likely recovery becomes. The worst cases of arthritis have still experienced improvement, but the earlier treatment can begin, the better! Can Chiropractic care help my 'athlete'? 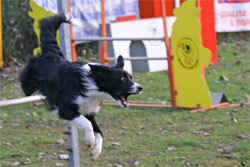 You spend hours training, exercising, and encouraging your dog to excel on the game field. Your athlete is at the top of his game, running faster, jumping higher and longer, and performing agility maneuvers that leave the audience out of breath! He is a champion! His body is a finely tuned machine, perfect for all of these tasks. Athletic dogs are perfect candidates for Chiropractic care, because maintaining proper structural alignment is vital to the proper functioning of the muscles and tendons required to perform these highly physical endeavors. Often, athletes experience higher endurance and increased agility because their bodies begin functioning at peak performance, with all the bones, muscles, ligaments and tendons working properly together without interference from structural misalignment. My athlete is injured. How can Chiropractic care help? The unimaginable has happened, and your athlete is injured. The dog who, moments before was running like the wind, now can barely hobble off the field. Injuries such as pulled muscles and joint displacement are common in athletes. Chiropractic adjustments can alleviate the discomfort these can cause by ensuring proper alignment of the body. Even the athlete who has undergone ACL surgery can experience improvement through chiropractic. With the ligament reconstructed, it is vital to maintain proper alignment for optimal healing and restoration of range of motion and full use of the joint. My animal has already had an expensive surgery, it didn't work and I can't afford any more treatments. How do I know if Chiropractic can help? The answer is “we don’t”. Although chiropractic has helped animals and individuals in the most severe conditions (for example: paralysis), there is no guarantee that it will work in every case with the same amount of success. For the difficult cases, we always recommend a trial of 3 adjustments (the initial visit plus 2 follow up visits, for a total of $240). If the animal does not show ANY signs of improvement, we can then determine that it is not a chiropractic problem. If however, there is a change after the third visit, it means that we are on the right track.